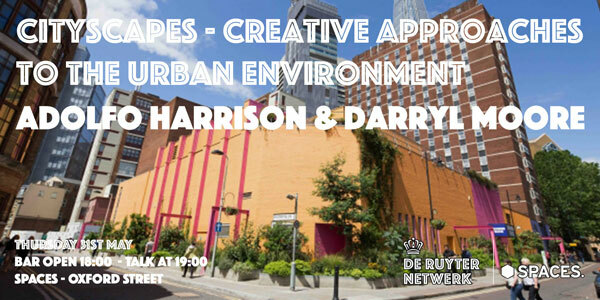 In the run up to the London Festival of Architecture 2018, De Ruyter has invited Adolfo Harrison and Darryl Moore present their creative approaches to the urban environment. 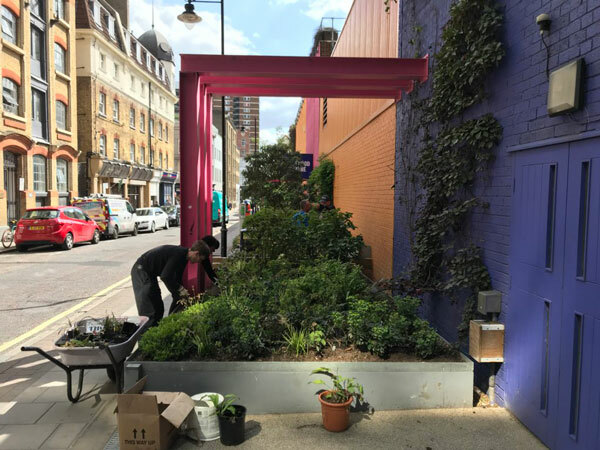 Darryl and Adolfo run Moore Harrison Land Design and are partners in Cityscapes, a not-for-profit organisation that aims to bring new creative approaches to the way the urban environment is designed through innovative temporary and permanent parks, gardens and installations. Adolfo Harrison began his career as an artist and curator in London and Barcelona. After completing his Masters in Fine Art he continued with post-graduate studies in garden design and horticulture, whilst also spending a year at London’s oldest botanical garden, The Chelsea Physic Garden. He is a member of the Society of Garden Designers. Darryl Moore is an award-winning garden designer, a respected landscape design and horticulture writer, and garden design tutor. He has a background in event production, installation art, sound engineering and mechanical engineering, as well as having performed internationally as a musician, DJ and sound artist. He is a Fellow of the Royal Society of Arts.